What is Picking to Light? 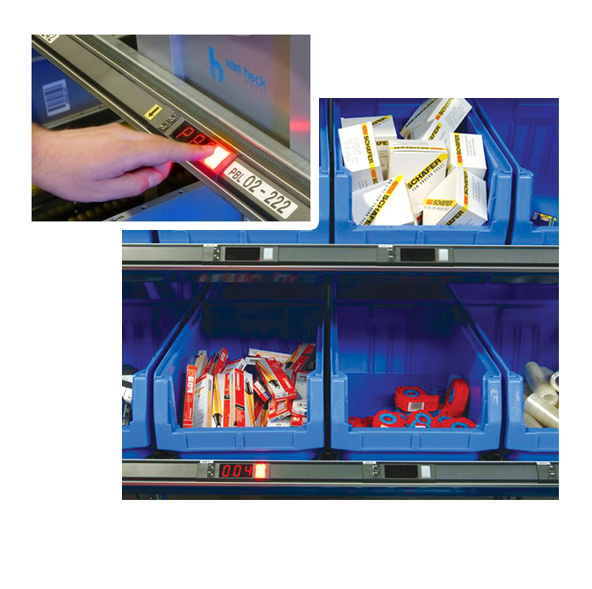 Fast access to single products is controlled by light signals. This is one of the best known types of hands-free picking. 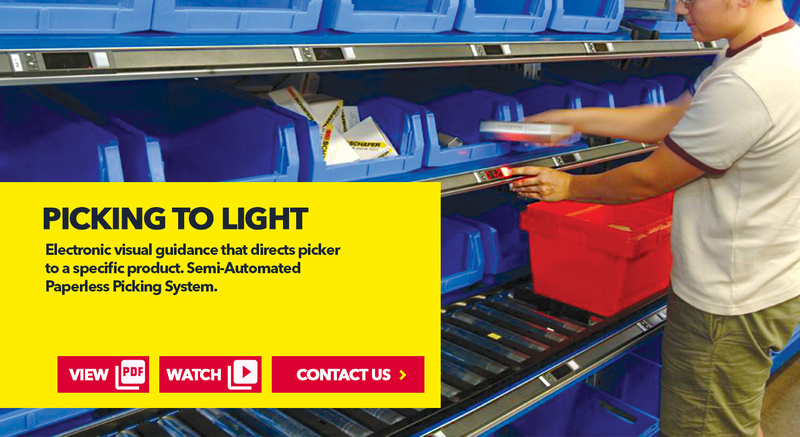 The light guided system makes it easy to use and easy to learn. 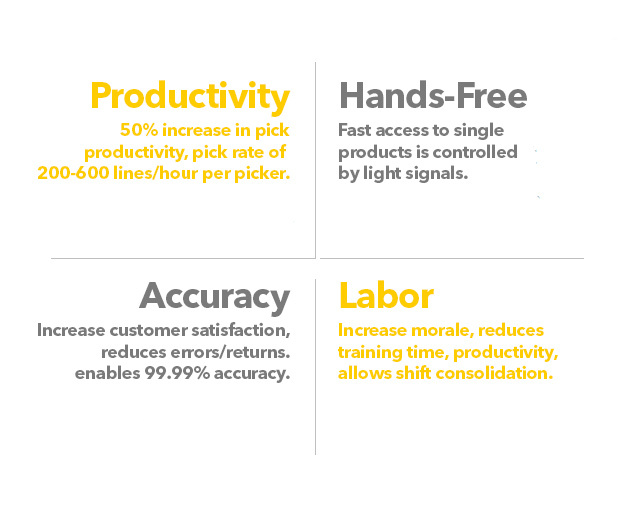 It generates a high throughput with virtually no picking errors. 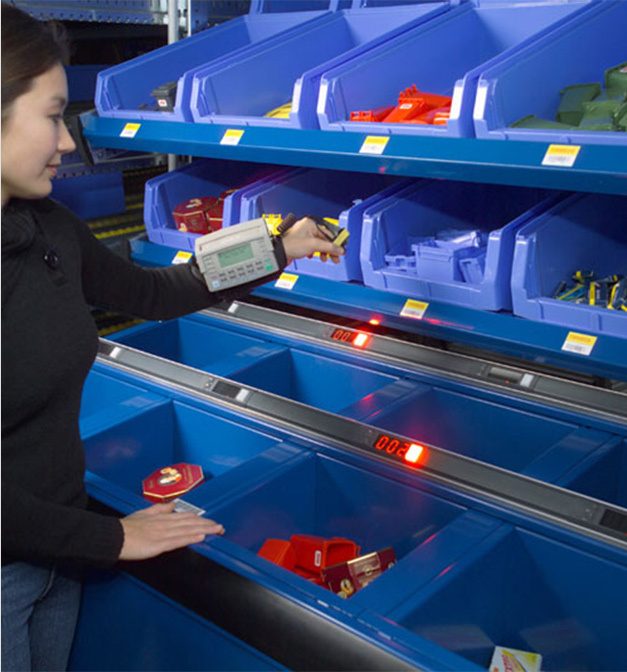 Thanks to the use of pick-by-light, conveyor technology and the proven material flow control can be used to optimise your processes in line with requirements and reduce your logistics costs considerably. 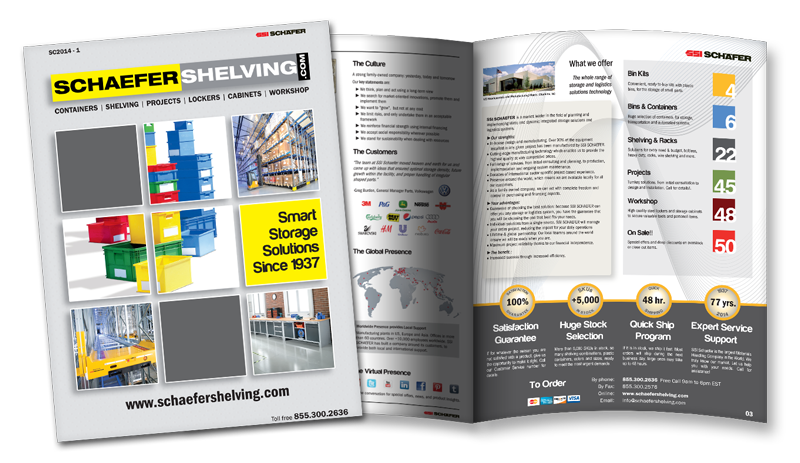 Watch SSI SCHAEFER Picking to Light in action! 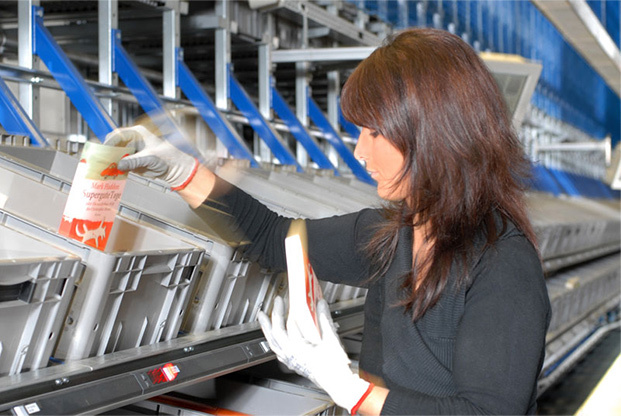 A pick face consists of a display and operation unit where the picker sees the required picking quantity and confirms it after picking by pressing the confirmation button. 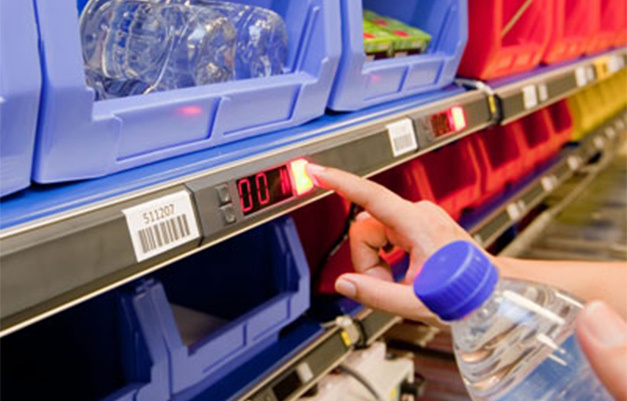 Two buttons for quantity correction enable the picker to increase or reduce the displayed quantities during picking according to the indications contained in the order.